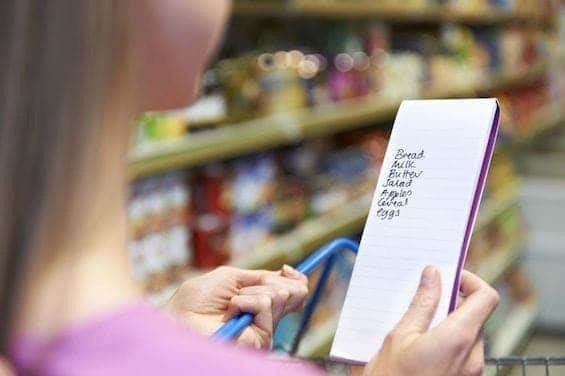 Grocery shopping is tricky anytime, but especially challenging when you’re on budget. On one hand, having everything you need in one place is convenient. But on the other hand, having so many options can sabotage every intention you have of sticking to your budget. Supermarkets are filled with everything you need and everything you don’t need, too. Don’t go in hungry. You believe that you dash in to pick up the infamous few things. But if you’re starving, you’re a dead aim for a couple of steaks and a load of snacks. You know what I’m talking about. This is because of the first rule of grocery stores: Anything can happen when you are hungry. Don’t try to remember. Without a list of the exact items you’ve come to purchase who knows what could happen? It’s normal for our brains to slip into neutral in the face of fabulous food. A written list is the crutch you need desperately to make sure you do not slip and fall, so to speak. Don’t bring plastic or checkbook. Cash—currency, clams, folding money, smackers, greenbacks—this is still the way you should be paying for your supermarket purchases. What? Not convenient? Well, of course not, silly. That’s the point. Convenience is the reason you’ve been dropping the equivalent of a mortgage payment for food every month. Making the process a bit less convenient is an easy to way to slow that mindless drain on your income. Don’t grab a shopping cart. Most of them have wobbly wheels anyway, so just walk on by when all you need are those few items. Surely you can carry the “few things” you need. Or get one of the hand-held baskets. The point here is that you won’t be buying more than you can carry. Don’t dawdle.This is not the place you want to hang out just to soak in all the great sights and smells from the bakery, deli and rotisserie chickens. If you weren’t hungry when you arrived, you will be soon enough. Get what you need and get out of there. For every ten minutes you delay, plan on spending about another $40.